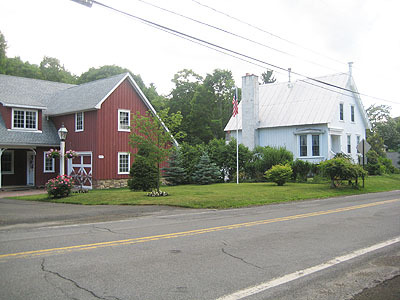 Hollowville is a hamlet a few miles east of the center of Claverack. It was formerly known as Smoky Hollow. 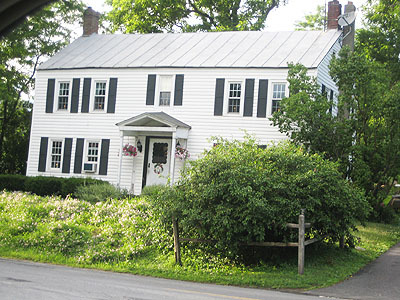 It was settled because of the available water power, and its location along the Columbia Turnpike, now known as County Route 23. A short distance east from Hollowville was once known as “Overshot Mill,” which was erected by Jacob Hoffman. On the small brook at this point were, in early times, woolen-mills and a distillery, by J. Rutsen Van Rensselaer. All these interests have long since disappeared. There is a post office in Hollowville. To read Captain Ellis’ full description of Hollowville, click here.